We’d love your help. Let us know what’s wrong with this preview of Love à la Mode by Stephanie Kate Strohm. Rosie Radeke firmly believes that happiness can be found at the bottom of a mixing bowl. But she never expected that she, a random nobody from East Liberty, Ohio, would be accepted to celebrity chef Denis Laurent's school in Paris, the most prestigious cooking program for Take two American teen chefs, add one heaping cup of Paris, toss in a pinch of romance, and stir. . . .
To ask other readers questions about Love à la Mode, please sign up. ...part of the magic of food. It didn't last. It couldn't. Each bite was only a moment transformed into a memory. This book stole my heart right out of the gate. A departure gate at Chicago O'Hare International Airport to be specific. We meet our main characters, Rosie Radeke and Henry Yi, aboard a plane to Paris. Both teens have been selected to attend the very prestigious Ecole of Chef Laurent. The program is part competition, part culinary school, open to only 20 students FOODIES REJOICE!!! Both teens have been selected to attend the very prestigious Ecole of Chef Laurent. The program is part competition, part culinary school, open to only 20 students per year. Being selected is an honor in itself and both Rosie and Henry are full of excitement and trepidation on their flight. Absolutely adorable from the very first pages ((one of the best 'Meet Cutes' I have ever read!!)) and reminded me that sometimes it is okay to just read something that makes your heart happy. There was nothing complicated, no horrible hidden secrets or murders or deceptions, just love, reflection and growth...oh and a heck of a lot of fun, food and friends! In addition to Henry and Rosie, the story incorporates quite a few of the other students who are from different areas around the world and brought such unique personalities to the story. If you are someone who enjoys stories with strong friendship groups you should definitely pick this one up. I loved the support and camaraderie amongst the main cast; Yumi in particular. I loved her so much!! The banter between the characters is great; I was laughing out loud by only 3% into the book. "There's no one else I'd rather eat with." As a romance-heavy YA Contemporary will do, this book is replete with the angsty romance tropes that you would typically find but, that being said, they were really well done here. It never felt cheesy to me or overplayed, just nice, steady and sweet. I loved watching the evolution of the relationship between Rosie and Henry, even through the miscommunications that made me want to scream, I just truly felt filled to the brim with warmth from this story. Thank you so much to the publisher, Disney-Hyperion, for providing me with a copy to read and review. I appreciate the opportunity to provide my feedback and I look forward to hearing what other readers think of this one! Well done, Ms. Strohm. Very well done. Original: ARC received! Teens chefs in Paris? YES, please! I would love some of that! I totally did not realize just how much I needed an adorable romance until I picked this up! But yes. I did need this book. And you probably do too. 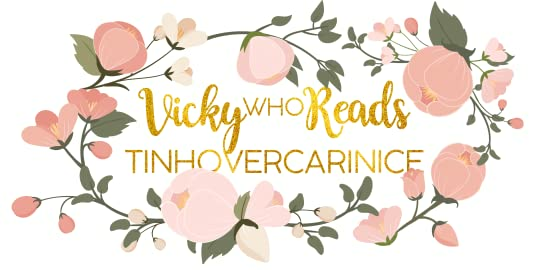 Because not only was it absolutely adorable and swoon-worthy and filled with delicious baked goods + foods I couldn’t get enough of, it also was just a whole lot of fun and a perfect get-out-of-your-head read! Sometimes you just need that light & enjoyable read to take away from some of the darkness + moodiness of life, and this book put me into such a good mood. I am, admittedly, one of those people who do like watching cooking + baking shows even though my culinary talent only extends as far as following very basic recipes, but it was so atmospherically Parisian that I couldn’t help but enjoy. But seriously!!! If you are looking for a low-stress read (which is very important from time to time) feat. delicious foods and a happy, fluffy romance, you need to pick this up. Not only was I drooling the whole way through, I found both of the protagonists likeable and sweet and very well suited for each other. It was pleasantly romantic with a perfect dash of teenage angst that I sped through this book rather quickly. And I mean, I love the sound of Paris. I’ve never been, but Paris books are so fun and magical to read–Paris anything is fun and magical. Europe anything sounds wonderful (aka anything that isn’t the trashfire of my country right now). So if you’re someone bothered by that tourist-y romanticism that I love so much, you might not want to pick this up. But if you’re someone like me who would be happy with even Canada, you need this book in your life! I thought it was very well paced and filled with an endearing cast of characters outside of the protagonists. Their friend group was endearing, and even the antagonists-who-weren’t-really-antagonists were enjoyable too. And the meet cutes were adorable and even the side characters’ smaller plots were enjoyable and well woven into the novel! Which is, admittedly, something you don’t see very often. Honestly, I don’t have a lot of criticism for this book, or justification for the 4 stars. I guess I just felt like something was missing–although this was a really enjoyable couple of hours, I wanted a little bit more. Maybe a more tangible plotline, because I admit that a lot of the struggle was internal, and I kind of wanted more than that. But overall, I very thoroughly enjoyed reading this, and although it might not be one of my Most Moving Books of 2018, it was definitely worth the read and I wouldn’t want to unread it. I definitely hope to pick up Strohm’s earlier novel, Prince in Disguise as it’s been on my TBR for a while now, and this has cemented my enjoyment of her writing! 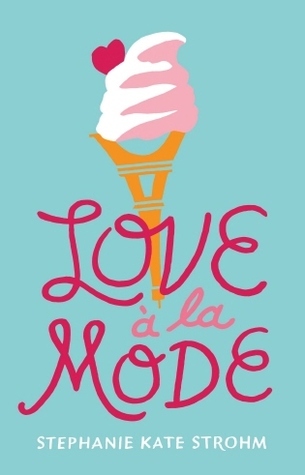 I’d recommend Love á la Mode to anyone looking for a light + fluffy contemporary read full of atmospheric Parisian-ness, an enjoyable romance, and some sweet and savory treats that will get your stomach rumbling! Thank you so much to Disney-Hyperion and Netgalley for providing me with a digital review copy in exchange for an honest review! I don't want to start this review by talking about another book, but I have to say it! Because I have strong feelings about Anna and the French Kiss being one of the literal all time worst books I've ever read, yet for some reason that book is insanely popular and this book is pretty unheard of but it's a really similar premise except 10000x better. This book is about two teenagers, Rosie and Henry, heading over to Paris for an elite culinary boarding school. They venture into the amazing city (can you tell I really want to visit?? ), hang out with their friend groups, and (this one is unlike Anna) really grow as people. (And also they aren't completely insufferable so there's another difference). Now, I must dedicate a paragraph to food, because food is honestly life tbh. This book is an absolute foodie dream! There are pages and pages of descriptions of food, from detailing the difference between and French and regular omelette, talking about intricately cutting vegetables into perfect shapes, delicately arranging fruit tarts to look like roses...basically, make sure you have some food on hand as you read this book. Cooking is truly an art for these students, and it's so clear through the writing how much they just adore cooking, and how it means the absolute world to them. There are descriptions of personal memories and associations that food have, as well as cultural foods unique to different regions of the world, and honestly this is the best possible way to show food. For the most part, I really enjoyed the characters. My favorite was Rosie of course, and I really related to her love of baking! I love how it was so clear how passionate she was about cooking, and how even though she struggled with it a lot, she refused to give up or stop loving it because it was just that important to her. Her interactions with her roommate and other friends were so fun, with their banter about a exclusive club of people who failed at making omelettes, trying to decipher what exactly a French menu says, and just overall lots of fun things! The romance...was unfortunately probably my only complaint with this book in that I didn't really like the romance. It wasn't one that I really hated, but I definitely didn't love it either. There is a sort of love triangle that forms, but it's pretty obvious (given the fact that the book has split POV between a guy and a girl and they're mentioned to be falling in love with each other literally in the synopsis) that it's going to be Henry. The thing is, I didn't really like Henry. He gets jealous and irritable to Rosie because she's literally talking to another guy. Like, is Rosie not allowed to have any male friends? Meanwhile, the other guy, Bodie, is, according to the book description, a "bad-boy baker." This was pretty stupid because he's literally never shown to be a bad boy he's the literal definition of a sweetheart cinnamon bun and I think he's just marketed as a bad boy because apparently that's a YA trope that sells well? But he loves baking and makes the best cookies and I just love his interactions with Rosie so I cherished them however small and limited they were. There was so much effortless diversity in this book too. Taking place in a boarding school in Paris, it enrolls students from all around the world! There were students from America, but also other places like Sweden and Japan as well. They all at one point made dishes from their hometowns, foods from all sorts of cultures from all around the world, and I just loved it! Overall, this is a really light fluffy feel good fast read. I read the entire book in one sitting in like two hours, and definitely enjoyed my time with it. It's not like changing makes you reevaluate your existence or anything, but it's really enjoyable and I definitely recommend! (Also, now I'm off to go eat). This book is so adorable! It's not very similar to Anna and the French Kiss at all other than Paris boarding school & a great friend group, but those Paris vibes took me back! I think the characters were all very realistically and authentically written, as teens and their individual personalities, and i loved the slow burn/quick burn romance. It kept me on my toes! Definitely another winner from SKS. Keep in mind, just as with your fave Food Network/Gordon Ramsey shows, the frequent and lengt This book is so adorable! It's not very similar to Anna and the French Kiss at all other than Paris boarding school & a great friend group, but those Paris vibes took me back! I think the characters were all very realistically and authentically written, as teens and their individual personalities, and i loved the slow burn/quick burn romance. It kept me on my toes! Definitely another winner from SKS. As soon as I saw Love a la Mode, I was here for it. Two teens falling in love at cooking school in Paris? YES, PLEASE. I’m happy to say this one didn’t disappoint! I’ve been describing this as a more diverse, less problematic version of Anna and the French Kiss, but with endless delicious food descriptions. Basically, This review originally appeared on Novel Ink. I’ve been describing this as a more diverse, less problematic version of Anna and the French Kiss, but with endless delicious food descriptions. Basically, the perfect YA contemporary, tbh. In Love a la Mode, we follow two perspectives: there’s Rosie, an American from a small Ohio town who juggles her love of baking with taking care of her mom and siblings; then there’s Henry, a Chicago native who grew up in the kitchen of his father’s Korean restaurant. Both of them have been accepted to famous Chef Denis Laurent’s elite cooking school in Paris. Of course, the setting was wonderful and different and the perfect backdrop for a romance, but what really cemented my enjoyment of this book was the cast of characters! The school is home to students from all around the world, from all different backgrounds. I loved how diverse Rosie and Henry’s friend group was– it felt very realistic. We see all of these characters bring their own personal and cultural backgrounds into the kitchen with them, and it was so heartwarming. Yumi and Marquis in particular were favorites, but the entire friend group’s dynamic was so much fun to read. Despite being at an elite cooking school and spending a year of high school in Paris, these are just teenagers being teenagers. I loved it. The romance was definitely a slow burn, and if you don’t like the miscommunication trope, I would steer clear of this one. Henry and Rosie first meet on the flight to Paris, and their attraction is instant, but it takes virtually the entire book for the two to finally get together. There are endless misunderstandings that could’ve been easily cleared up with some good, old fashioned communication, but honestly, I didn’t even mind. These two characters had so much chemistry, and I was rooting for their romance the whole time. There is a bit of a love triangle, as well, which was just *shrug*. While the romance definitely employs a lot of common YA tropes, these characters are teenagers who make teenage mistakes, and I can’t fault them (or the author) for that. If you’re an avid watcher of baking and cooking shows like myself, you’re going to love this. All of the descriptions of food and baked goods made me ravenous, and I went to get crepes pretty much immediately after finishing this, haha. I also loved reading about the chefs’ different processes in the kitchen. There was a healthy dose of competition between all the students, which added some high stakes to every day in the kitchen. While I didn't love Prince in Disguise I knew I had to try Love a la Mode since I am a want to be foodie who adores all books set in Paris. Let me tell you all the things I found to be delightful:Food // I like to cook and pretty much have on the Food Network in my house most hours of the day. I know all the chefs and love every food competition from Top Chef to Master chef. I know the names of techniques and foods that I have never used or tried. So with all this book's references to all things food and such I loved it. I felt like I could relate to their excitement over it.School in Paris Setting // I am a sucker for a boarding type school and then put that school in Paris and I am done. I LOVED Paris in this book. It made me feel like I was there and made me want to go so bad.Friend Group // I LOVED all the friends in this one. They were different and fun and great. HAMPUS! He was the best. Now with all that great stuff there was still something lacking for me. I didn't love Rosie and Henry together. He kind of got on my nerves. I also took issue with how they treated Bodie at the end, but I think is just me. It is like her books *just* miss the mark for me. Paris is a city associated with lights, love, and culinary delights. Henry and Rosie were both making their way there to join an elite high school culinary program, which was an important stepping stone for them both. For Rosie, it was a way for her to discover the world outside of her small town. For Henry, it was a way for him to prove to his mother, that he had the talent and the ability to succeed in the culinary world. But, would there also be room them to find love? As always, Strohm provided me with an adorable story. The banter was on point, and I laughed quite often, but this was also a little different from her previous three books. Those leaned heavily on the comedy part of rom-com, and this book, while quite funny, featured more tender and heartfelt moments. Many of those moments starred Rosie. She really tugged at my heartstrings. Her backstory and the interactions with her family were all quite touching. The texts from her brothers always made me laugh, and her mother's endless support and love never failed to deliver some feels. This book incorporated many elements I love, and together resulted in a great reading experience. • The setting - I love Paris, and Strohm did a great job taking us into the city. Not only did she bring us to some popular places, but she gave us a pretty immersive eating experience too. • Boarding school - I have an affinity for stories set in boarding schools, and we get that dynamic combined with the fervor of a reality cooking show and high school antics. • The food! - This was a culinary school, and there was a LOT of cooking, baking, and eating going on. Strohm must be a foodie, because the descriptions were quite vivid and mouth-watering. • The characters - What a fun group of characters! Each one had their own little quirk, and combined to form one fantastic friend group. • The friendships were strong in this one. They may have been competing against one another, but they were still always there to lend a hand or a shoulder to cry on. They supported and encouraged each other, and there were a lot of awww-worthy moments shared. • The romance was adorable. Yes, there was some miscommunication, or rather, a lack thereof, and also some misinterpreted signals, but there were also a bunch of tender and sweet moments, and I thought Henry and Rosie were precious together. Overall: This book was a tasty treat stuffed with an adorable romance, fantastic friendships, lots of heartwarming moments, and tons of food! This is a diverse read with a BFF-worthy cast of characters. Their personalities leap off the page, from shy to outlandish, and I fell in love with them all. The pacing is perfect. The writing is tight—extremely effective without a single word wasted. Did I mention the characters already? I miss them. I miss them so much! Bottom line: If you’re into fun, page-turning slump-busters, go get this book right now! Super cute - if you're a foodie and/or a fan of Food Network shows and/or a fan of Anna and the French Kiss, this one is for you. "I like you more than potatoes." There's a blurb in the synopsis that states this is like Masterchef meets Anna and the French Kiss and I would say that's a highly accurate description. The sweet romance and the mouthwatering food scenes made this a delicious read! I loved how vital the food was to the story, the cooking classes and Paris adventures were so much fun. I am a big Food Network fan so I was grinning from ear to ear picturin ARC provided by Netgalley in exchange for an honest review. The sweet romance and the mouthwatering food scenes made this a delicious read! I loved how vital the food was to the story, the cooking classes and Paris adventures were so much fun. I am a big Food Network fan so I was grinning from ear to ear picturing these teens cooking in a TV worthy kitchen. The cast is diverse and fun. I was rooting for Rosie and Henry from the moment they met! They were powerfully written with distinct voices, families and backgrounds. I loved watching them grow during their time at the cooking school. The romance starts off rocky due to cliche communication issues. However it ends strong and much of the focus remains on their classes and school which helps the story never feel stagnant. The ending was perfect and left me smiling. It's a great lighthearted, feel good romance. 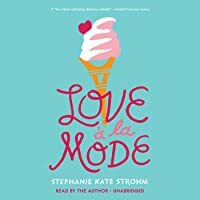 As a fan of any book with cooking, boarding schools, and Paris, Love à la Mode by Stephanie Kate Strohm seemed like the perfect book for me. The story is about a French cooking school and contains characters from all over the world. I especially enjoyed the descriptions of food. Fans of books like Anna and the French Kiss and Taste Test will love this one. This book is everything that is amazing about contemporary: fluffy, fun, funnies, and cuteness. And then add some cooking and baking??? If you love cooking and baking, this has some of the best food descriptions that I've ever read and all foodies will forever rejoice. Henry and Rosie were great main characters. I vibed a bit more with Henry, but they both easy to relate to and easy to root for. Henry had enormous pressures and stress placed on him to do fantastic in school - and in the kitchen. Rosie had adorable and funny brothers that she left behind, and the homesickness she was struggling with was real. I mean, yes, you're in gorgeous Paris, living the dream life, but it's hard to leave your old life - and especially your lovable family behind. I enjoyed reading both of their voices. The rest of the characters were great as well. The diversity that Strohm brought was fantastic. Characters came from all different places and backgrounds. My favorite side characters was Yumi, because she brought allllllllll the funnies. I loved her, and Marquis, Priya, and my other love, Hampus were all fantastic. Seirously, Hampus was a gift, and I thanked Strohm every time he would appear. It's been a whileeeeeeeee since I read a cute, fluffy, adorably cheesy book. When I first started it, I felt like I forgot how to read one??? But once the ship started kicking it, I was brought back to all the feels. Henry and Rosie was adorable. I felt like there was a little too much keeping them away from each other at certain points, but I was feeling the feels and the cutenesssss. The setting and writing was great as well. I really felt Paris coming through the pages, and the cooking school vibes felt so realistic. Strohm's writing is always easy breezy and bringing the funnies. There was nothing different about this story either. The only issue I really had with the story was that it felt like it lost a bit of steam sometimes. Like, I know we were working toward the end of the semester and Rosie's and Henry's romance, but I never really felt any pressure or tensions that was really pushing me super super along. That was my only real issue I had with it. Also, I'm really not a big fan of intense food descriptions, but Strohm still made a non-believer enjoy them, and if you love them, this book is perfecttttttttttttt for you. Does Strohm know how to write books that aren't the most adorable things on the planet? I don't even think so. As someone who is super into food and married to someone even more into food, this was beyond a delight. I was sitting next to a Christina Tosi cookbook while reading a shoutout to it and it just made me so happy. A cute, feel good romance set in Paris. 2.75 stars. I received a digital ARC from Netgalley in exchange for an honest review. This was a cute book about two aspiring teen cooks who make it into an exclusive cooking school. Henry is a fantastic cook while Rosie struggles with the basics but excels at baking. It is her everything. I was attracted to the premise because I'm a big baker and I love baking romances, even when they're YA. I felt that this book was pretty average for me. I enjoyed it but nothing stood out and it basically ende 2.75 stars. I received a digital ARC from Netgalley in exchange for an honest review. I felt that this book was pretty average for me. I enjoyed it but nothing stood out and it basically ended all wrapped up in a bow. I did like that Rosie wasn't perfect in the kitchen and that the author showed her struggles. The technical terms and the references towards Food Network shows was a nice touch. What I liked most about the story was set in the kitchen and then once they were out of it, it got a little too cliche and juvenile for me. Most of Henry and Rosie's problems could have been solved with communication, which seemed to be lacking somewhat. Henry was overly jealous over the littlest things and that got annoying pretty quickly. It's never cute when I'm reading about a character getting angry over another guy and girl hugging because that's an immature response. Once they talked it out and established their friendship and relationship, things improved. I liked reading about the culture of Paris and their love of cooking/baking but nothing stood out as amazing to me. One nitpicky thing is that the author really loves to italicize words. Her characters were just so excited or passionate about so much. There are better ways to show it than to over-italicize things. I was starting to read those sentences like how Chandler Bing speaks in Friends. Could that be more annoying? This was an overall okay book. This book lacked all three sadly. The entire book was based on the main characters so there was barely a plot. I would have been fine with this but the characters were badly developed and finally the relationship was awful. This book was just not for me sadly. So sweet and FILLED with foodie references. Perfect for fans of celebrity chefs and food competition shows. Food, a little romance and Paris! OH MY GOSH YOU PRECIOUS, ADORABLE, CUTE LITTLE BOOK. I love you. I love food. I like cute romance. I like amazing friendship groups. I love baking. I love this book. And now I want to watch cooking and baking shows all day. Well done, cute book, well done. I LOVED THIS ABSURDLY CUTE AND FLUFFY BOOK 😍Rosie and Henry are adorable. Paris is magnificent. I have never been hungrier. I loved every ounce of angst and swoons. 5-stars, if only because this book is the delicious little macaron I wanted it to be (especially after reading a series of epic fantasy novels). 1. A cooking school. In Paris. If that isn't the best setting I don't know what is. Although, there was less Paris exploring than I thought it would be, but I didn't mind it because a lot of the time was spent on other important things - like cooking, hanging out with friends AND ACTUAL STUDYING. "and the baguette made Rosie rethink what, exactly, the stuff she'd been eating for the last sixteen years was, because it couldn't possibly be bread, not like this..."
4. Rosie - I can't say how much I LOVED Rosie. She felt so real and I connected with her immediately. She was, well, relatable and she was likeable. She had many layers and I could see how different things affected her. Sometimes she was confident of her skills, sometimes she would say what's on her mind but she was still a bit shy and not overly sure of herself. She was a proper person, not a single trait. All in all, she was a great character. "It was not knowing that Rosie hated. That was why she loved baking. Baking was all knowing. If you followed the recipe, you got exactly what you intended. An apple pie never surprisingly turned into lemon meringue halfway through the baking process." And I also liked how both she and Henry were the "sweet/good/slightly shy" types. Usually in ya romances, at least one, if not both of them, has to be the " confident bad boy/girl," type to make things "more interesting." 5. HENRY YI ♥ He was so adorable and he always wanted to help others. He was the one who would make a nice atmosphere so nobody would feel awkward. He wasn't perfect and he made mistakes but at least he tried to make amends afterwards. 6. Parents and siblings - yep, this book didn't have the "disappearing parents" syndrome. I was so glad to see Rosie talk to her siblings regularly, or how Henry's parents affected his behavior. The only thing that bothered me was how they "broke up" towards the end. They weren't tehnically together but still. It was annoying how they didn't see things for what they were from the start but again, the situation was handled nicely. They realized that they made mistakes and then they fixed it. All in all, this is a great light read for those looking for a great romance story which also has amazing friendships. As sweet as dessert, Love à la Mode is the perfectly delicious rom-com that fans of Stephanie Perkins and Morgan Matson will devour! I am a sucker for A) meet-cutes, B) boarding schools, and C) food! Guess what has all of these elements?! Henry and Rosie are adorbs, and are such a sweet couple to fall in love with. I really enjoyed the characterization of the main characters. I felt like their responses were real, which is such an important aspect of contemporaries. If I don't think the teens are As sweet as dessert, Love à la Mode is the perfectly delicious rom-com that fans of Stephanie Perkins and Morgan Matson will devour! I am a sucker for A) meet-cutes, B) boarding schools, and C) food! Guess what has all of these elements?! Henry and Rosie are adorbs, and are such a sweet couple to fall in love with. I really enjoyed the characterization of the main characters. I felt like their responses were real, which is such an important aspect of contemporaries. If I don't think the teens are reacting realistically, I tend to be turned off. But Stephanie Strohm nails the voices of these two. I especially adore Henry; from a Korean-American household, you see those expectations that are often stereotyped: his parents want success for him. But the interesting part, is that his parents don't necessarily agree on what that success looks like. While his father is a chef, and supports his dream to become one as well, his mother is pretty vocally against it. That pressure from his mother plays a toll in his relationship with Rosie, but don't worry about the angst: it all ends in fluff. The group of teens at the Ecole Denis Laurent are great, and real friends to Rosie and Henry. I am not just a sucker for a good romance, but a good friend story, as well. Friendship is sometimes more important than romance; who better to help you get over a guy or get with a guy, then your best friends? And with this group, while they all come from different backgrounds, that just makes them come together even stronger. Finally, the foooooooooood! The food descriptions are out of this world. They make me wish for some sort of "Wonka-Vision", where I can just reach into the book pages and snap up whatever mouthwatering concoction being featured. Definitely don't read this book hungry! This review has been hidden because it contains spoilers. To view it, click here. This book was way too cheesy, not the butterfly in your stomach kinda cheesy but just plain ridiculous cheesy. I found myself rooting for Rosie and Bodie rather than Henry, as Henry had frequent miscommunication issues and Rosie seemed blind to these faults and kept forgiving him? The author basically described Bodie as her soul mate compared to Henry, and I felt unsatisfied that she ended up with Henry in the end, thought it was extremely predictable, and almost wanted to skip the ending. I hat This book was way too cheesy, not the butterfly in your stomach kinda cheesy but just plain ridiculous cheesy. I found myself rooting for Rosie and Bodie rather than Henry, as Henry had frequent miscommunication issues and Rosie seemed blind to these faults and kept forgiving him? The author basically described Bodie as her soul mate compared to Henry, and I felt unsatisfied that she ended up with Henry in the end, thought it was extremely predictable, and almost wanted to skip the ending. I hated how the issues in Rosie and Henry’s relationship were the same thing over and over again, either one of them getting mad at the other and leaving, then feeling bad the next day and doing a grand gesture that magically resolves everything. This story was so two dimensional, and the cheesiness at the ending was so bad (along the lines of “I love you”) that I had to skip a few sentences. Love à la Mode was a lovely book that I enjoyed from start to finish! It was a book I thought about even when I wasn't reading it, and one I looked forward to sitting down with every day. There was just something about Rosie and Henry that made me want to see their story through to the end, and I couldn't flip the pages fast enough! The two clicked from the beginning, and it was fun watchin I received a copy from the publisher in exchange for an honest review. My thoughts and opinions are my own. LOVE A LA MODE was an overall enjoyable book! I think the cooking and Paris setting helped it stand out a bit from other contemporary YA novels but I also think it could have had a little more that helped it stand on its own two feet. It was compared to ANNA AND THE FRENCH KISS, which are big shoes to fill in my book since I re-read that every year, but honestly aside from the Paris setting, it really shouldn't be compare to ANNA. Not in a bad way but they're really not that similar, and I actually feel like Paris had even less to do with LOVE A LA MODE because it wasn't explored and didn't mean as much to these main characters. The main focus here was the cooking and baking. - the food and the cooking scenes. They were mouth-wateringly good. - The setting. I want to go to Paris right now. - The romance. I just didn't understand why exactly they liked each other besides that initial attraction. Henry was so so whiny and got mad at and ignored Rosie over the smallest things and I just didn't understand why she still liked him after that? There was no actual substance to the romance, and that was a big problem for me because the romance was the main focus of the book. First and most important: If you plan on reading this cute and fun contemporary novel based at a school for chefs in Paris, be prepared to be hungry. For anything from mashed potatoes, to bread to decadent desserts. Love à la Mode was a fun and cute read. I am no chef, in fact I'm pretty sure my knife skills are a billion times worse than Rosie, but I do know a lot of the terms thanks to Food Network. I definitely had to look up a bunch of the dishes and then have my mouth water. I've been go Par First and most important: If you plan on reading this cute and fun contemporary novel based at a school for chefs in Paris, be prepared to be hungry. For anything from mashed potatoes, to bread to decadent desserts. Love à la Mode was a fun and cute read. I am no chef, in fact I'm pretty sure my knife skills are a billion times worse than Rosie, but I do know a lot of the terms thanks to Food Network. I definitely had to look up a bunch of the dishes and then have my mouth water. I've been go Paris and know a little of the layout and they never specifically name any locations other than big ones which is good and didn't make it confusing. As a 27 year old married woman, the kind of drama that happened with Henry and Rosie and etc., was a bit annoying at times, but teens will likely relate to it a lot more since they are the target audience. paris. & food. what's not to love? 3.5, rounded up to 4 stars, because Strohm's style is always worth it. Rosie and Henry share a passion for cooking, although the two come from very different backgrounds. Together with kids from all over the world, they have enrolled into a famous cooking school in Paris for a whole year. This is a little bit Anna and the French Kiss, but the romance isn't as involving. As I mentioned, it's the author's style that makes it all worth it. While the romance was basically needless drama when it was ob 3.5, rounded up to 4 stars, because Strohm's style is always worth it. This is a little bit Anna and the French Kiss, but the romance isn't as involving. As I mentioned, it's the author's style that makes it all worth it. While the romance was basically needless drama when it was obvious they liked each other, all the rest made me fall in love. First, all the cooking. I don't cook but the necessary to survive, and I'm not into cooking shows. Still, the descriptions made me even consider cooking can be something else. I remember there was one sitting I closed the book (well, put my kindle on standby) and went to the kitchen to make me something. So this part was definitely fun. But if you haven't read anything by Strohm, you should know the way she narrates is always interesting. She knows to make great characters and jokes. This book was no exception, even if not her strongest. The romance was nice, the two had chemistry and the love triangle wasn't that bad, just the conflicts that made the story drag a little. Which is strange, because they didn't seem forced, I could see where they came from. But they ended up in arguments I've seen too much of already and made me roll my eyes more than a couple of times. You'll have lots of fun as long as your only thing is romance—then I'll have to say this book will feel underwhelming.